Have you ever wondered what your C-Arm has gone through to become the beautifully refurbished system in your facility? Sure, you know that somebody else owned your system at some point and it was refurbished and shipped to you. But that’s not very specific. If we try and remember way back to our college days, we will remember learning about a supply chain. A supply chain, as defined by Wikipedia, is “a system of organizations, people, activities, information, and resources involved in moving a product from supplier to customer.” So, what is the supply chain of your C-Arm? 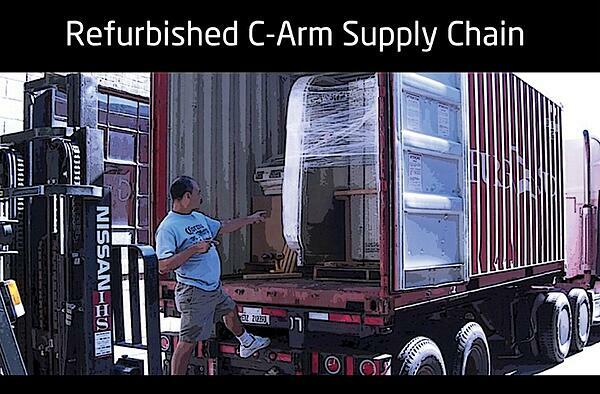 The supply chain for a refurbished C-Arm is different than the supply chain of most products. The main reason is that the C-Arm was pre-owned. Where your C-Arm starts in the supply chain will vary. 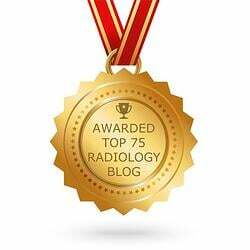 The C-Arm may originate anywhere from a large hospital to a small pain management clinic to a cadaver lab. 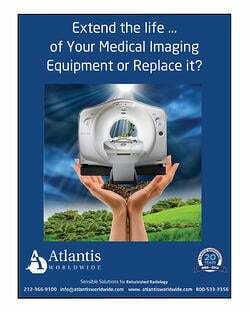 When Atlantis Worldwide purchases a C-Arm for resale, we try to avoid purchasing C-Arms from larger hospitals in fear that the system has been run through the ringer. With that said, we always perform a thorough inspection prior to purchasing to ensure that each C-Arm meets our requirements for image quality and prior use. Once a C-Arm is deemed as suitable for refurbishment, the next stage of the supply chain is to deliver the C-Arm back to the Atlantis Worldwide warehouse for refurbishment. If the C-Arm is relatively local to our warehouse, we will send one of our engineers with a box truck to pick up the system. Unfortunately, that is rarely the case as we buy C-Arms from all across the country. When the C-Arm is not local, we generally employ a national van line to pick up and deliver the C-Arm. It will generally take somewhere between one and two weeks for a C-Arm to be delivered to our warehouse once a shipment is booked. The next stage of the C-Arm supply chain is refurbishment. Prior to the refurbishment, our engineers will receive the C-Arm from the truck driver and do initial testing to ensure that the C-Arm is in the same functional condition that it was prior to the shipment. If any issues arise, they will be addressed prior to refurbishment; otherwise the C-Arm will be put into the queue for refurbishment. The refurbishment supply chain includes disassembly (and part replacement), sanding down the C-Arm, painting the C-Arm, then reassembly. Once the C-Arm is refurbished, it will enter into the calibration and testing portion of the supply chain. The C-Arm will be tested for 24 hours straight to make sure all functions are fully operational. It will also be calibrated to the required levels of image quality and tapped to the necessary power levels. After the C-Arm has been tested and calibrated it will be prepared for shipment. This includes wrapping the C-Arm in bubble and shrink wrap. The C-Arm will then be strapped to a pallet to ensure that it is properly protected during shipment to its final destination. It is now time for the delivery portion of the supply chain. Much like the shipment to our warehouse for refurbishment, the C-Arm will either be delivered by our in-house engineers or a national van line; this is depending on where the facility is located. The last stage of the supply chain is our favorite stage. It is delivery and installation at your location. The driver will make a pre-call to your onsite contact to prepare you for the arrival of the C-Arm. When the driver arrives, he will unload the C-Arm and wheel it into your facility. Our engineers will show up within 24 hours to unwrap the C-Arm, install it at your location and provide basic C-Arm training. So that is the process that your C-Arm goes through from start to finish. 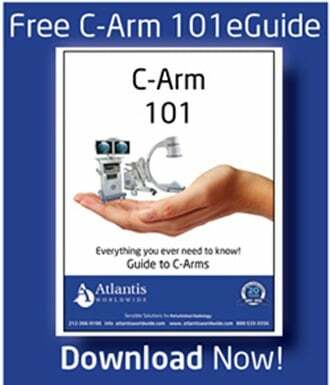 If you would like Atlantis to SUPPLY you with a C-Arm, or if you have any questions regarding the supply chain, please don’t hesitate to give us a call!